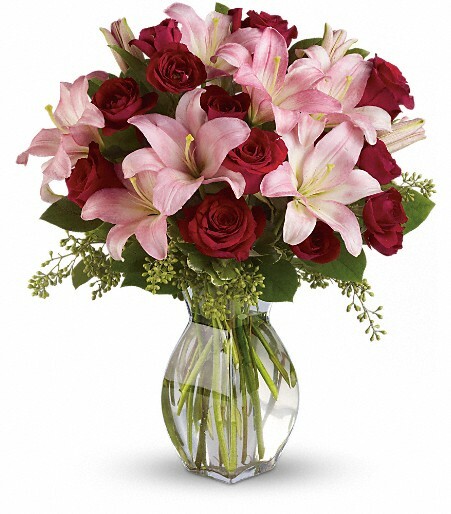 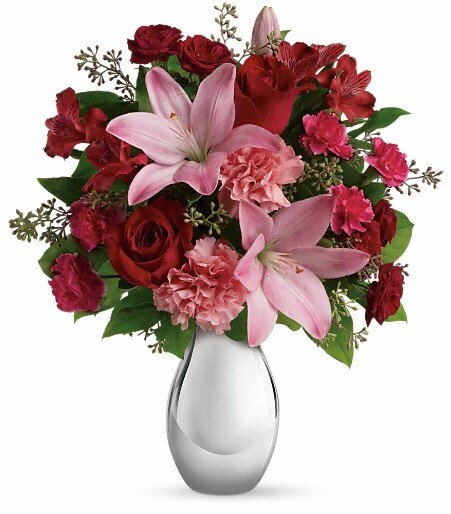 Send smiles across the miles with this magnificent mug of blooms! 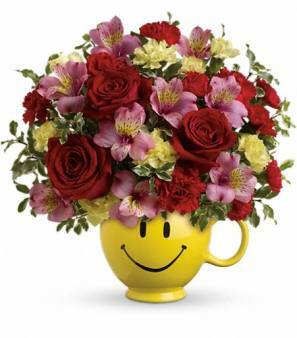 Sure to become their favorite for morning coffee, this sweet ceramic design brims with lush red roses, pink alstroemeria and miniature red and yellow carnations. 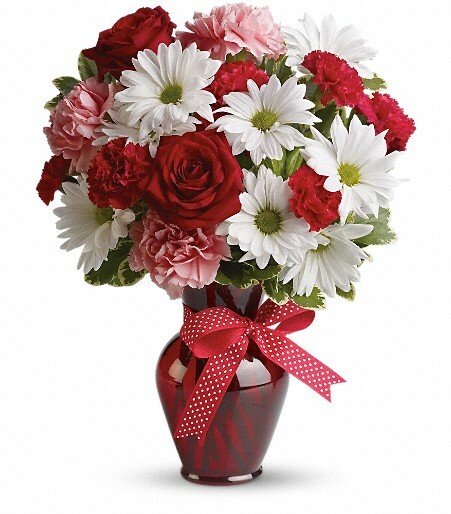 It’s a great way to send your love!